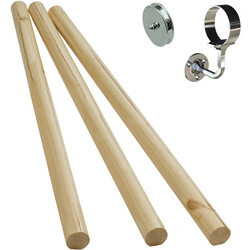 Firmly secure hand rails in place with our range of high quality handrail brackets from Toolstation. We stock handrail brackets in a collection of different finishes to suit any type of hand rail. 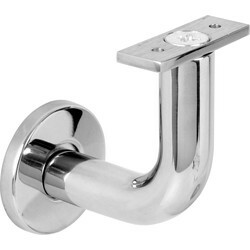 Our range includes modern handrail brackets from the highly regarded Eclipse, to provide our customers with great looking and durable handrail brackets. 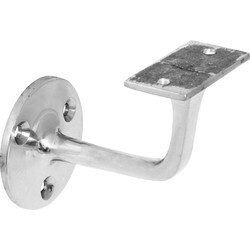 Replace old, broken handrail brackets or install a new handrail with our heavy duty Eclipse brackets. 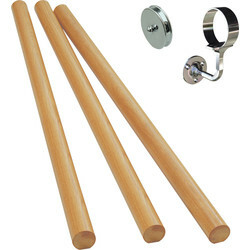 Ideal for installing either a convenient handrail or safety rails, their strong formation is well-suited for either timber or steel balustrades. 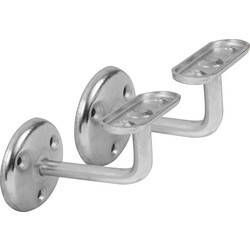 These 19mm handrail brackets are available in either polished stainless steel or satin stainless steel. 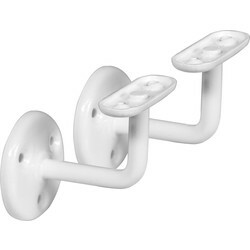 Their design is easy to install with accurate fittings included in the pack. 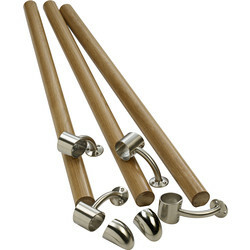 Upgrade the style of handrail brackets to give a handrail a fresh, new look. 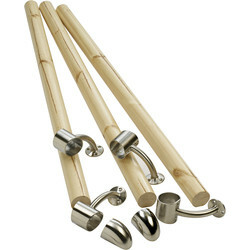 The contemporary design of Eclipse brackets gives any handrail a decorative appeal. Choose from either aluminium, white or polished brass handrail brackets to find the perfect style to complement the handrail.